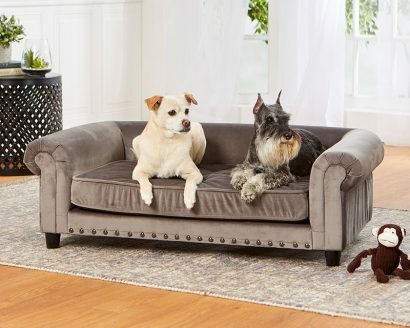 Elliot, a 20 pound Lab Mix and Pax, a 20 pound Schnauzer fit perfectly together on the luxurious velvet Manchester Sofa. 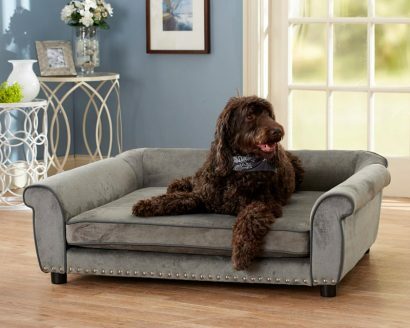 With gunmetal nailheads and biscuit tufting on the cushion, it features a comfy rolled back and arms, just right for leaning. 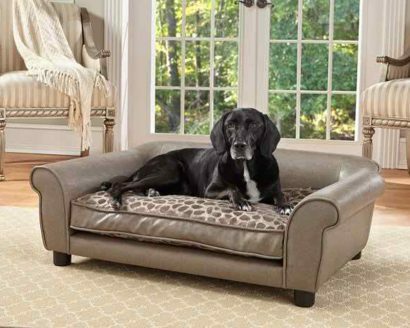 Fully upholstered with high quality, furniture-grade construction. 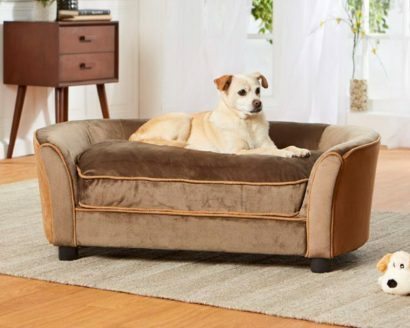 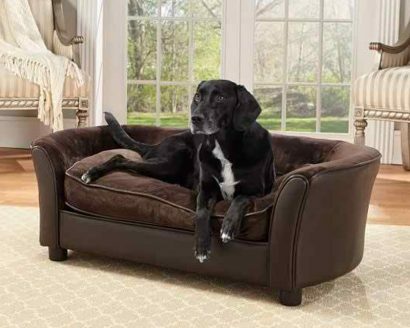 Meet Jewel, a 45 pound Labrador mix, lounging comfortably on the Panache Sofa. 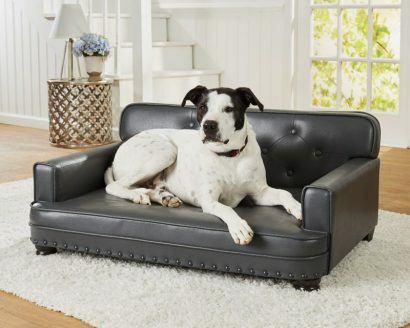 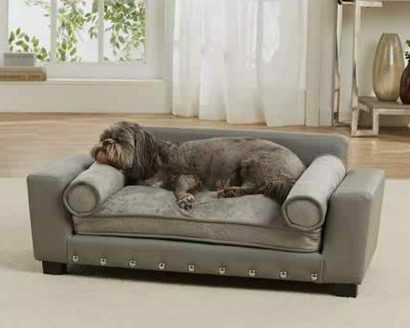 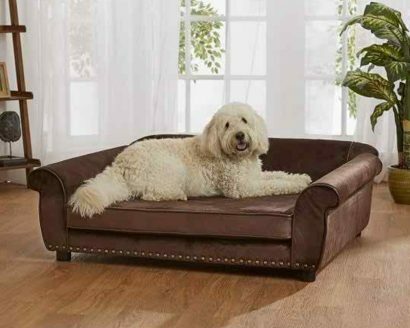 This generously sized Ultra-Plush sofa with pebble grain, faux-leather exterior and welting is truly a gorgeous design. 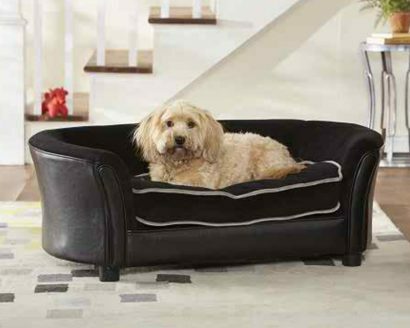 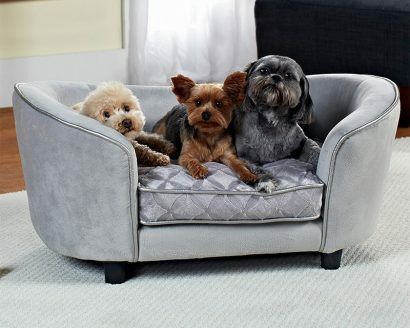 A deep, high-loft seat cushion offers the ultimate in extreme comfort.